I’m not really that tech-savvy, but really I’ve been on a mission to figure out how to write blog posts from my iphone. I’ve been on the iphone for about a year now, and I’ve finally gotten comfortable enough with the touchpad keyboard to write some of my shorter posts from my phone. I’ve also figured out a few hacks for getting pictures uploaded as well. Since I write for several sites and usually have a couple posts in the works each day, it’s nice to be able to multi-task when I’ve got a few minutes of quiet with my phone. Mobile blogging has allowed me to draft posts while sitting in the car at preschool pick-up, or while the kids are playing in the park, or even in the backyard while they are on the trampoline. It’s also great because I can still work even when I have no internet access. For example, we had no internet in the resort at Palm Springs, but I was able to compose my posts that were due using my phone. It’s not ideal, but it’s a good back-up option. My favorite aspect of blogging from my phone is that it eliminates the need for me to sync my phone with my computer using a cord. I take about 90% of my photos on my phone these days. It certainly doesn’t deliver the best quality, but what it lasts in resolution it makes up for in convenience, and since I’m not really touting myself as a photographer it works for me. My favorite program for photo editing is the Camera+ app. 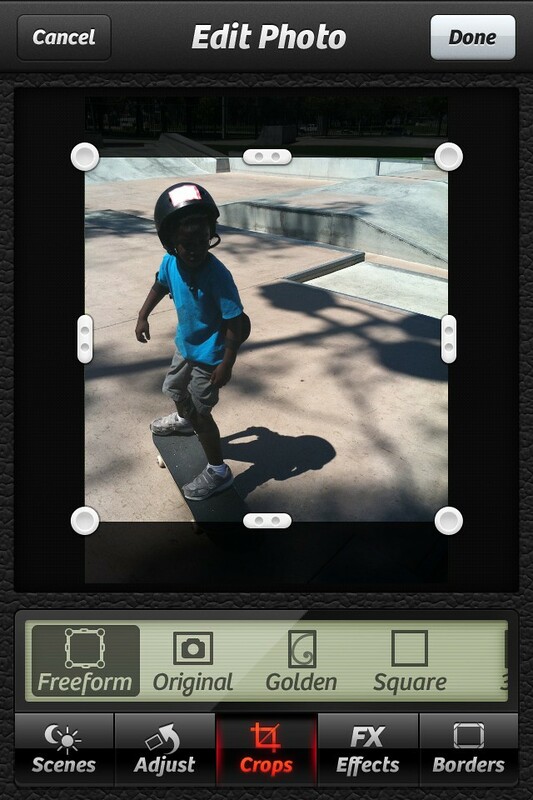 It has a really flexible photo-cropping application. I usually crop photos I’m going to use for blogging into a square shape. For whatever reason, this shape seems to work best with the Blogpress app I’m going to talk about in a sec. It also makes the photo compatible with instagram as well. 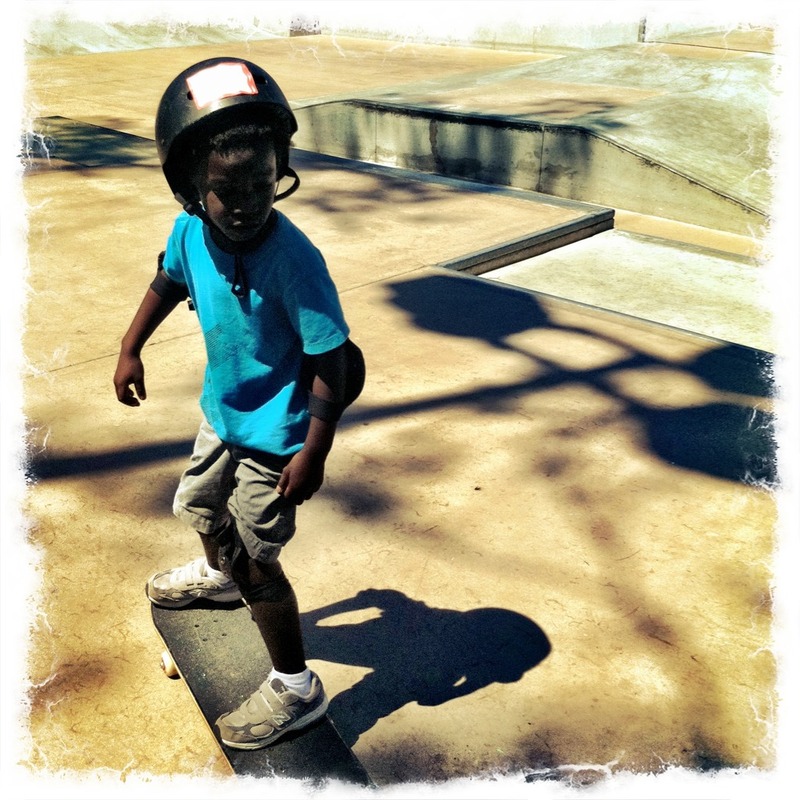 Here’s an example of the photos I edited for the skateboarding post I wrote last week: After cropping the picture into a square, I used the “shade” filter to brighten it up. 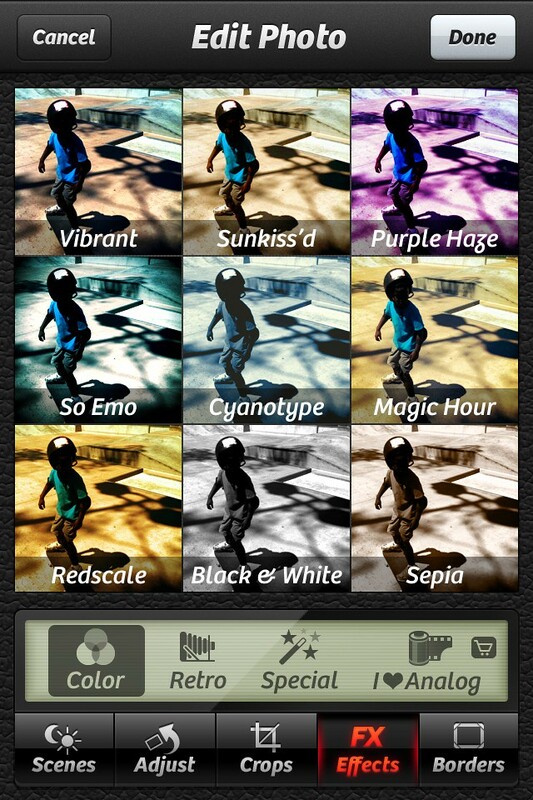 Then, Camera+ has a number of color filters to create a different look. I’m partial to the sunkissed wash.
And since it was a skateboarding post, I went with a grungy looking border. So in about five minutes, from my phone, I’ve managed to really clean up what was a rather shadowy and low-res photo. 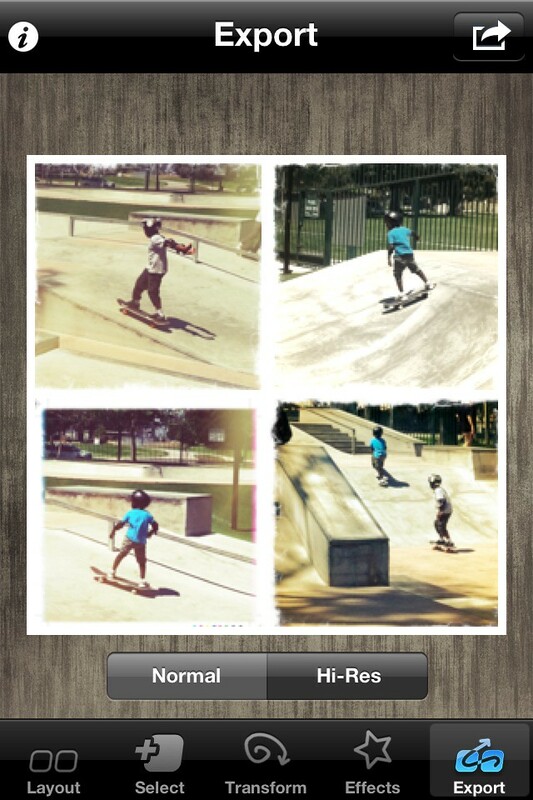 Another app I use frequently is the Diptic app. This is great for when you have multiple photos to post. It allows you to make collages in a number of sizes and layouts, with anywhere from 2-4 photos. The result is that you can place multiple photos in a post with a clean grid layout. 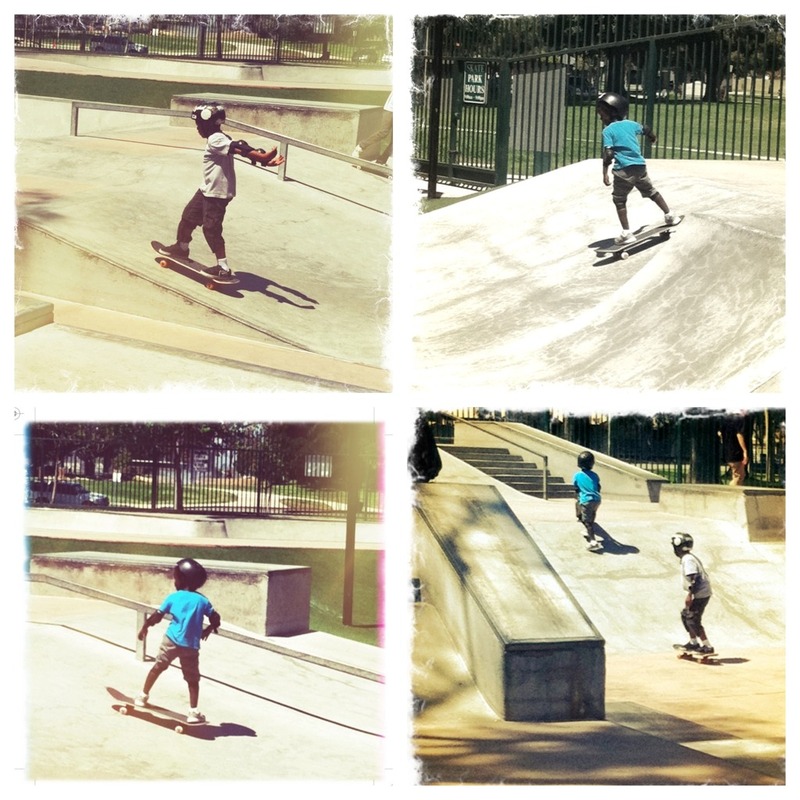 For the skateboarding post, I edited four photos in Camera+ to give them a sunny wash and a gritty border, and then went into the Diptic app to put them into a grid. Four evenly-spaced photos in a post, but only one upload. Yay! Okay, after I’ve fussed with my photos, I pop them into a post using an app called BlogPress. It’s my personal favorite because it allows me to post to a number of sites from one place. I writer for some sites that use WordPress, and some that are hosted by Blogger, and BlogPress can handle them all. It’s very simple and user-friendly. It allow you to compose posts and then insert photos into the post anywhere you want them. I usually post my weekly iphone photo posts this way, and it’s impressive how well it handles 20+ photos. Sometimes I write a posts completely from my phone this way, and hit publish. Other times, I just use BlogPress to upload the photos into a draft on my blog, and then go back in to write the post from my laptop. 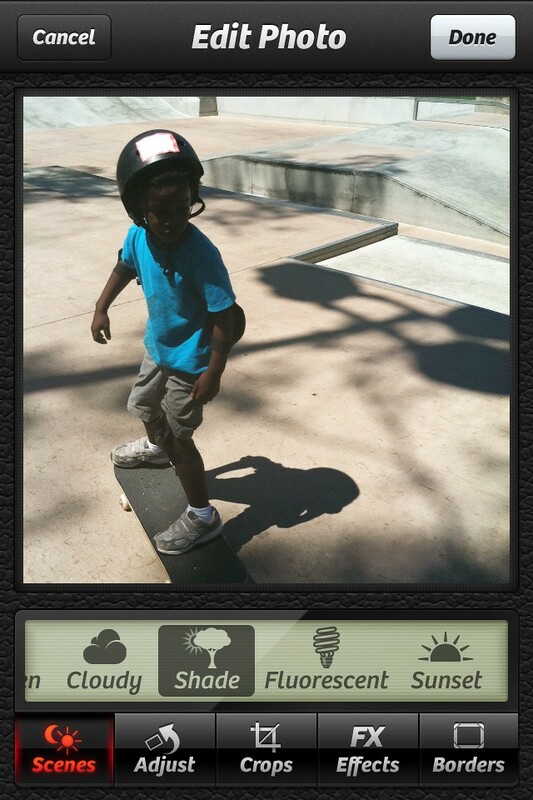 Here, you can see the draft of the skateboard post, that I ended up finishing and posting from my phone. Have you figured out how to blog on-the-go? Are there any tips or tricks that I’m missing?